Enjoy the best inspirational, motivational, positive, funny and famous quotes by Alesha Dixon. Use words and picture quotations to push forward and inspire you keep going in life! By the way, dancers are not human beings. How can you be human and do what they do? It was the lowest point of my life. I just kept thinking, 'What have I done to deserve this?' I didn't see the point in living. I think people in England take things for granted, we complain about our NHS system and yes it's not perfect but believe me it's far better than what they've got here. Obviously music is my first job. 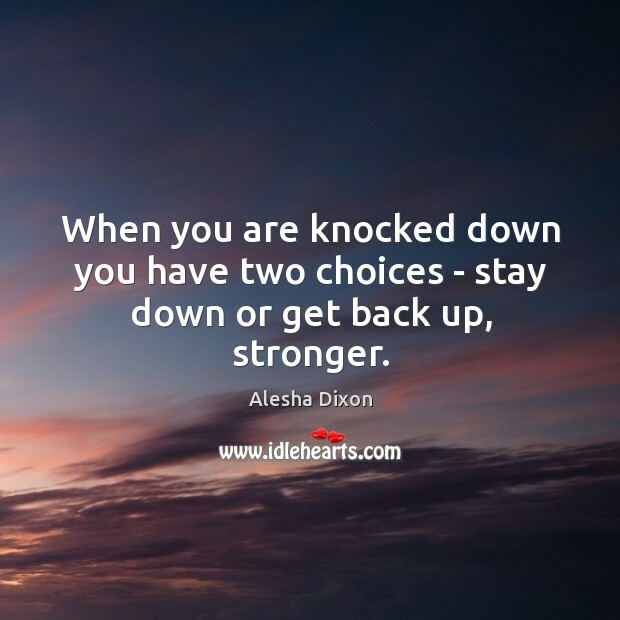 When you are knocked down you have two choices - stay down or get back up, stronger.